This part of Texas once had native buffalo. 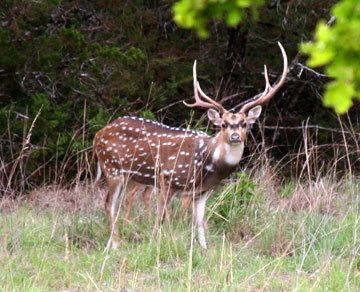 In fact, I used to live on “Cibolo Basin” street in Boerne. Cibolo is a Spanish word for buffalo, and is common in the Hill Country, reflecting the fact that buffalo were once found here naturally, and that many who found them spoke Spanish. 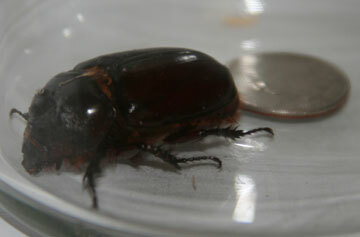 When settlers came to the Hill Country, however, they soon decimate the native buffalo population. 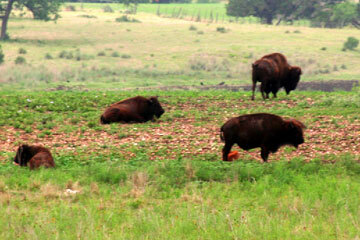 In recent years, ranchers have begun to raise buffalo, partly because the meat is high in protein and low in fat. I’ve had a buffalo burger (in West Yellowstone, Montana), and it was quite tasty. In the foreground of the photo to the right, you can see some wildflowers growing alongside the fence. I have been amazed by the number and variety of Texas wildflowers. Quite a delight! 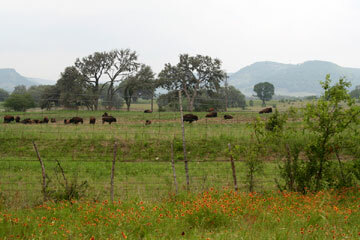 In the background you can see the larger herd of buffalo on this ranch outside of Medina, Texas. You can also see that it’s a hazy day, rather cloudy and, therefore, not yet very hot. I’ve been enjoying how much the weather in Texas changes. Yes, it can get pretty hot here, but the variety of weather is impressive, nevertheless.